The Tutor/Mentor Connection's Public Awareness Strategy is based on the marketing/advertising strategies used by big companies to draw customers to multiple locations in many states. T/MC does not have an advertising or public awareness budget, thus it looks for other ways to create media frequency and reach and greater public attention. One strategy is to create maps that follow feature stories in local papers and TV, which usually sensationalizes violence and poverty. We call our map strategy "THE REST OF THE STORY". 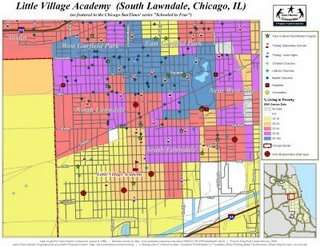 We post these maps in blog articles that are intended to leverage the public awareness generated by the media, in ways that draw volunteers and donors directly to tutor/mentor programs in neighborhoods that have been the focus of negative news. In March 2009 T/MC launched an interactive program locator, that enables visitors to create their own maps of different sections of the city. This blog article shows a map created in just 10 minutes, using this feature. Now students in high school and colleges can become advocates, and journalist, drawing media, volunteer and donor attention to neighborhoods where more non-school learning, mentoring and career opportunities are needed. With the help of students, volunteers and the business community, we can get THE REST OF THE STORY on the internet, within 24 to 48 hours, while it is still featured in the news, the local papers become our advertising partner. This is a strategy that we hope youth journalists and advocates in high school, college, or other community technology centers, will adopt, with youth creating maps of their own neighborhood, and drawing volunteers and donors to tutor/mentor programs in their own community. 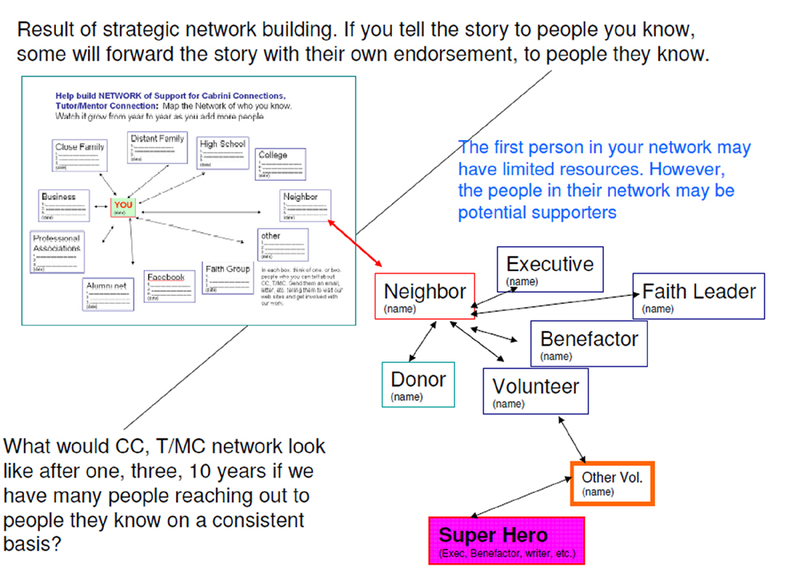 Contact the T/MC if you'd like to learn how you might use the T/MC map gallery and database for this purpose. 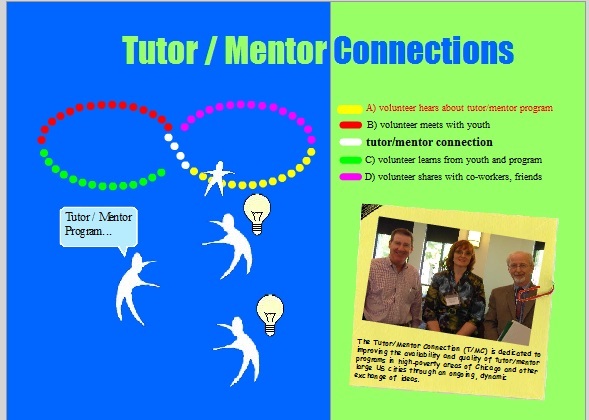 View this concept map to learn more about the Tutor/Mentor Connection's Public Awareness Strategy.